Liverpool have been meeting with Barcelona officials in London over the last few days. 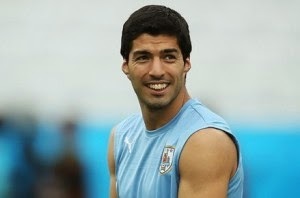 Luis Suarez is the reason for this high-profile meeting, as the Catalan club are keen on taking him to Spain. Suarez was recently found guilty of biting Juventus defender Giorgio Chiellini in a recent match between Uruguay and Italy at the World Cup 2014. FIFA slapped him with a four-month ban given that it was his third such offence. Despite this, the 27-year-old remains a target for several top clubs including Barcelona. Real Madrid were thought to be the first Spanish club to register an interest last summer, but Barcelona are now edging closer to signing the former Ajax striker. Football betting markets suggests that Barcelona are the favorites to sign the striker at 2/9. The odds of Suarez staying at Liverpool have been put at a lengthy 3/1. It is primarily because Barcelona are believed to be closer towards matching Liverpool’s valuation of £80 million. Such a transfer fee would make Suarez as one of the world’s most expensive player. He would move along with Cristiano Ronaldo, who is second on the list, but behind Gareth Bale. According to Sky Sports, Barcelona’s offer is in the region of £60 million along with players. Barcelona are also interested in offering Alexis Sanchez or Pedro as part of the deal. However, Sanchez is reportedly not looking at moving to Anfield since he wants a move to Arsenal. The probability of Suarez making his move to Spain looked in tatters after FIFA’s punishment. Barcelona, though, have constantly reiterated that the player has apologized and that he remains a top player. Sergio Aguero was believed to be their primary transfer target, but since that move failed to materialize, they seem to have turned their attention towards Suarez. Barcelona seem ready to turn a blind eye towards Suarez’ issues – both on and off the field – in order to complete the deal. Apart from the biting controversies, Suarez has also been found guilty of racism. He is often criticised for simulating and trying to win penalties. Simulation, however, is seen as less of a problem in Spanish football than it is in England. Racism also does not appear to get much criticism. Spanish football expert Guillem Balague says that the apology from Suarez was forced from Barcelona, as they wanted to build on this image. Suarez has apologized in the past with his most recent one coming in 2013 after being found guilty of biting Chelsea defender Branislav Ivanovic. Barcelona president Josep Maria Bartomeu has repeatedly stressed the fact that Suarez has been big enough to give a public apology. He says that people should be forgiven if they make an apology, but it remains to be seen if Barcelona will ever draw a line. Barcelona are the second favorite behind Real Madrid to win the la Liga title in the upcoming season. They are given odds of 6/5, but that could significantly change upon Suarez’ arrival. After all, this is a player who scored 31 goals in the Premier League, which is widely regarded as a tougher league than la Liga, last season. Only Real Madrid superstar Cristiano Ronaldo scored a similar number of goals in all of Europe’s top leagues. Suarez, then, remains a great player, but Barcelona need to be aware of the troubles that he may also bring to the club. The talk of bringing Suarez to the Camp Nou for £80 million has resulted in fresh rumours linking Lionel Messi with an exit. Bartomeu, though, confirmed that the Catalan club have no plans of selling the Argentine superstar, who is the top scorer at the World Cup 2014 with four goals.